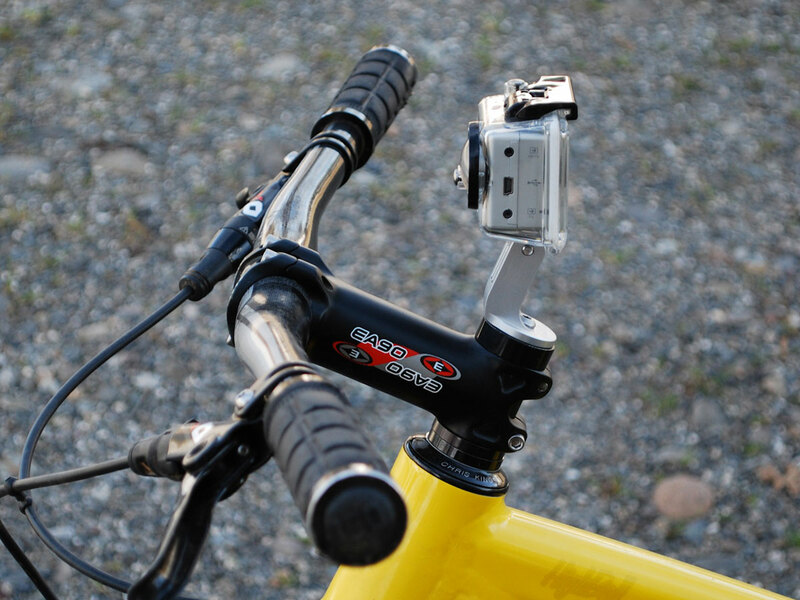 The Camera Mount is compatible with all GoPro Hero camera models. The Camera Mount securely attaches a GoPro camera to the top of a threadless stem. 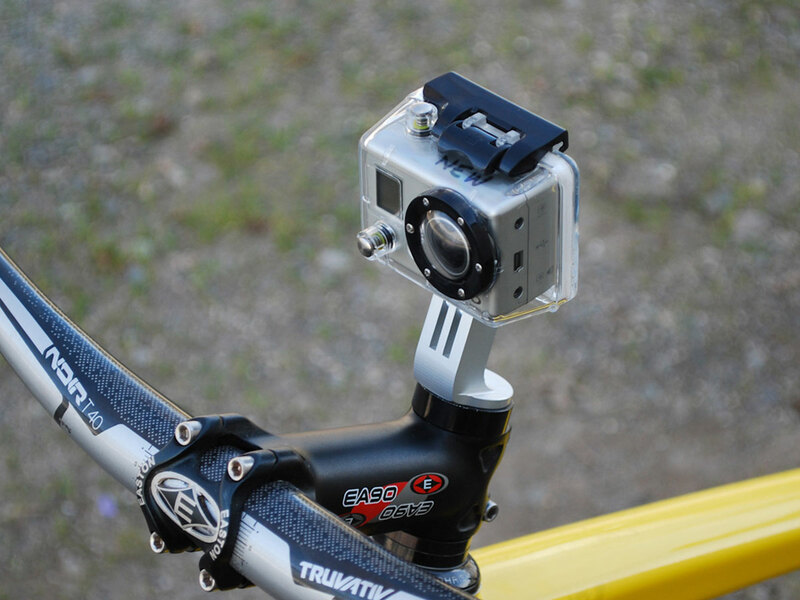 Designed to replace the top cap of a 1 1/8″ threadless stem, it gives you a view right across the top of your handlebars and down the trail. 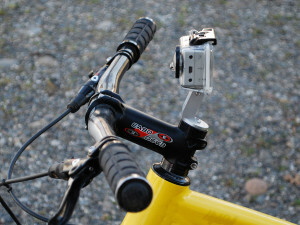 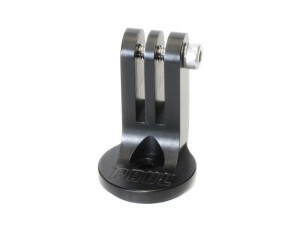 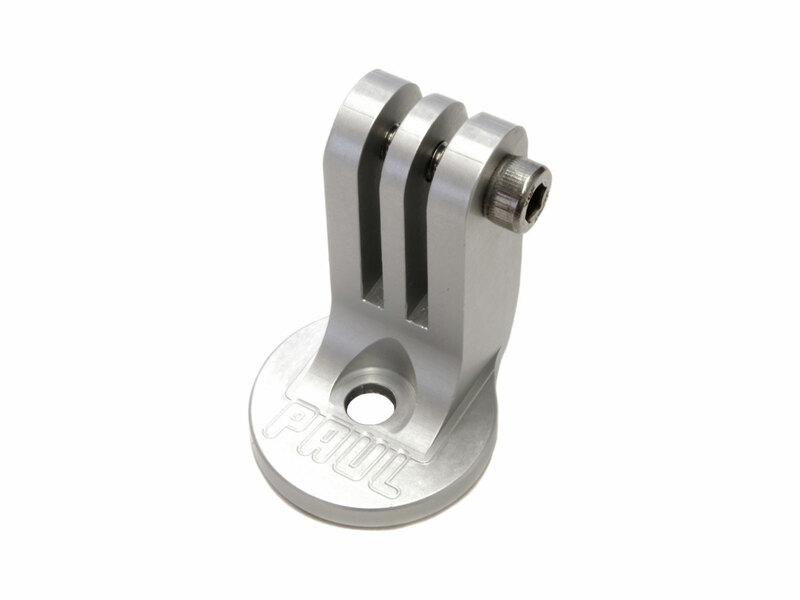 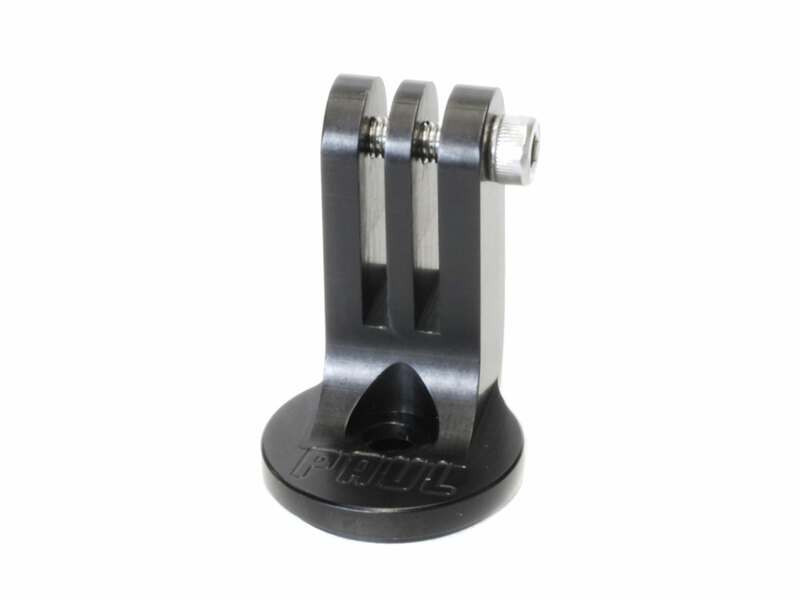 The Camera Mount can be attached directly to the camera’s case for a solid connection, or can be fitted with an articulated GoPro Pivot Arm for more adjustability.